DXY off highs above 90.00. US yields back to sub-2.80% levels. 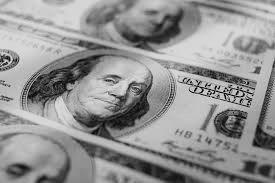 The greenback, tracked by the US Dollar Index (DXY), is alternating gains with losses on Wednesday around the 89.60 region. The index is posting losses for the first time after three consecutive daily advances, including fresh multi-day tops above the critical 90.00 handle recorded on Tuesday. The greenback has deflated from tops along with a drop in yields of the key US 10-year note to the 2.66% region o Tuesday, just to bounce off those lows soon afterwards. It is worth recalling that yields climbed as high as the vicinity of 2.90% at the beginning of the week. The broader picture for USD stays bearish for the time being, as investors remained unable to extend the breakout of the 90.00 handle amidst some recovery in the global sentiment while volatility appears mitigated somewhat. In the US data space, New York Fed W.Dudley (permanent voter, centrist) and Chicago Fed C.Evans (2019 voter, centrist) are due to speak later in the NA session followed by the EIA’s weekly report on US crude oil supplies. As of writing the index is gaining 0.01% at 89.68 and a break above 90.03 (high Feb.6) would target 90.70 (high Jan.22) en route to 90.98 (high Jan.18). On the other hand, the immediate support is located at 88.55 (low Feb.2) seconded by 88.42 (2018 low Jan.25) and finally 86.82 (weekly trend line off 72.70).